The festive season is fast approaching… make yours a very merry Christmas and book your Christmas party catering with Flavours Catering + Events. Our extensive menu comes with all the trimmings, including your traditional festive favourites as well as some tasty treats with a modern twist. As work parties caterers of choice, our menus include: great value packages suitable for corporate lunches and light, casual dinners; beautiful handmade canapés ideal for small, medium or large-scale cocktail events; gourmet barbeques to complement the warmer weather; and festive buffets with delicious inclusions such as double smoked leg ham and roast turkey with cranberry stuffing. Alternatively, if you’d like something a little more personalised, our events team and executive chef can work with you to create a custom menu. We can tailor your Christmas party catering to suit your budget, venue, special dietary requirements and theme. We’ll ensure you celebrate in style! We provide work party catering throughout Sydney in any location you please – from backyards and beachside to boardrooms and ballrooms. We’ve even catered events in unique locations such as city rooftops, islands, luxury yachts, national parks and retails stores. Stuck on ideas for where to hold your event…? We can help by sourcing a venue on your behalf. Our work party caterers can also provide staff hire. We understand the importance of staffing your work function with professional and experienced personnel. We’ll provide you with personable service staff with the relevant qualifications, impeccably groomed and dressed in full uniform attire. We offer a range of staffing solutions including chefs, wait staff, event managers, beverage attendants, baristas and cocktail bartenders. Our service is flexible in terms of whether you’d like a fully staffed event complete with an onsite team of chefs and wait staff, or you may prefer a DIY-style whereby we deliver everything ready-to-serve and you take care of the rest. Whether it be a swish cocktail party, an extravagant formal dinner, or simply casual drinks and nibbles to mark the end of the working year, Flavours Catering + Events can provide you with work party catering that will dazzle and delight. We have many function packages to cater for varying budgets and groups of all sizes, from intimate gatherings to parties for hundreds. 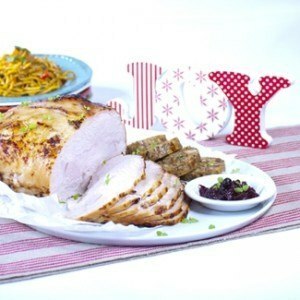 Call us on 1300 368 605 to discuss your requirements and secure your Christmas catering booking today. Some key dates are still available - but be quick because our calendar is filling up fast!